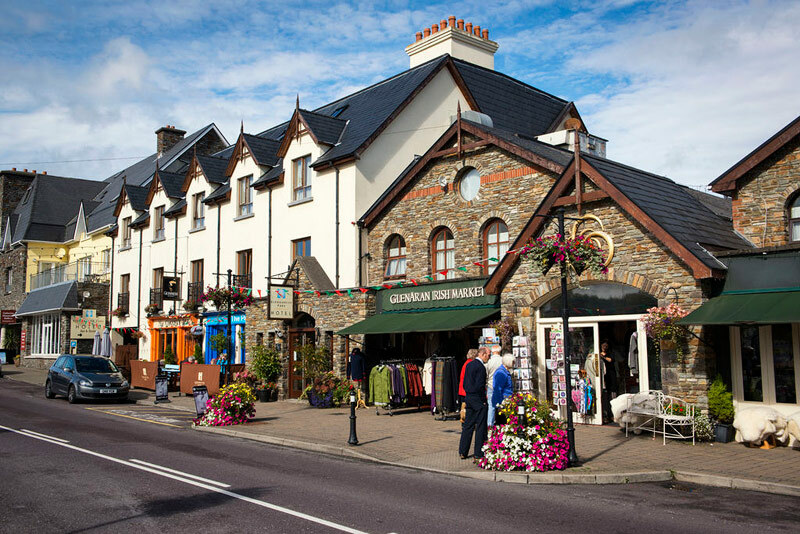 Your tour will bring you to the lovely town of Kenmare, dramatically set within mountain ranges at the foot of the Kenmare river. 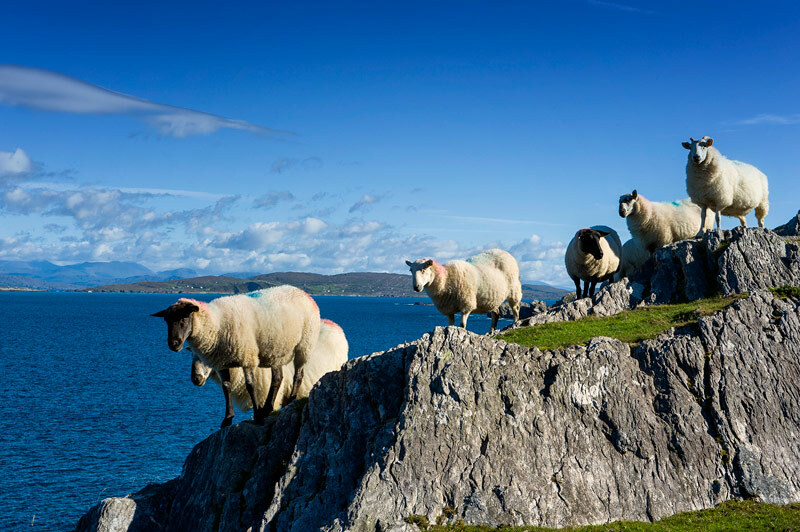 From here you will travel along the northern edge of the Beara Peninsula to Kilmackillogue Pier where we can stop and perhaps stay a while at O’Sullivan’s Bar on the pier. 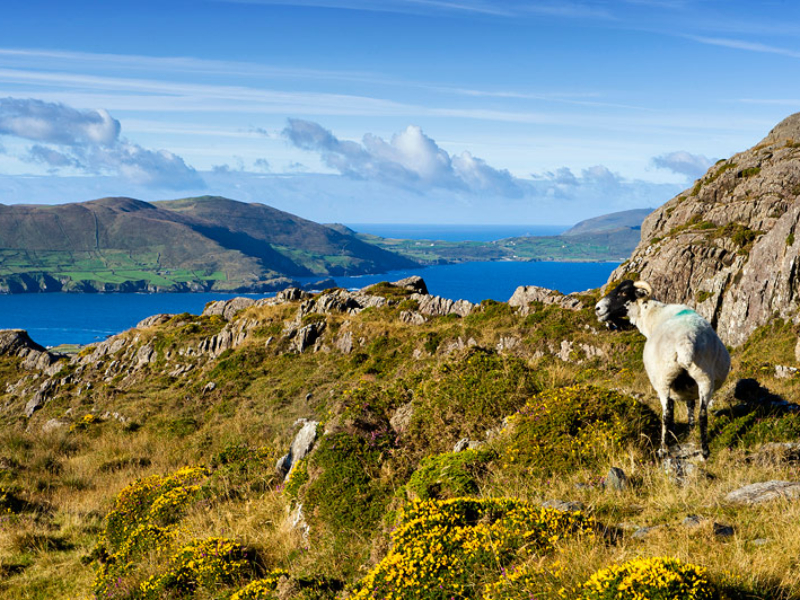 This is rural Ireland at its best. A lovely pub in a coastal location with stunning scenery in every direction. 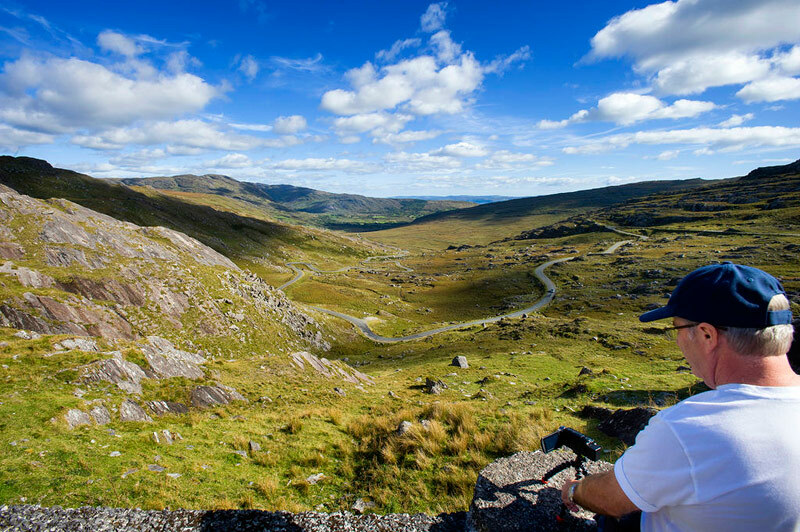 The tour will then travel over at the Healy Pass into County Cork. 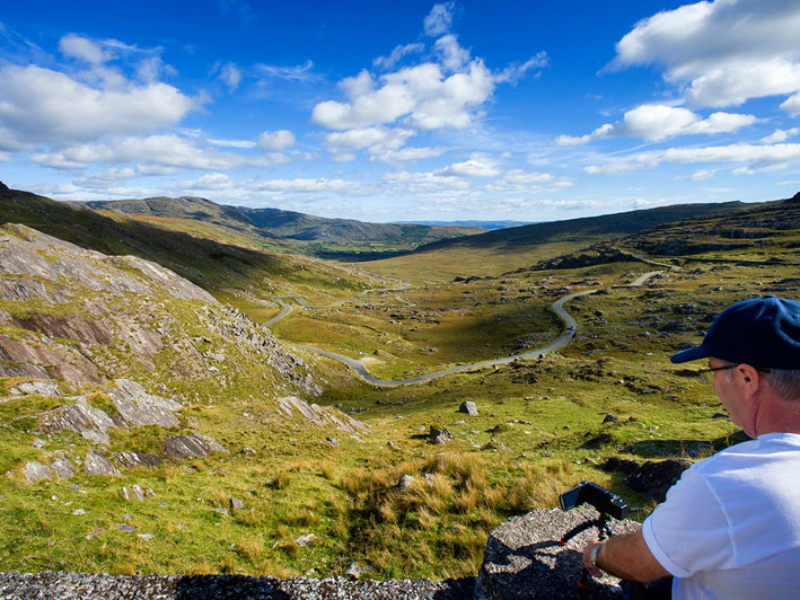 This mountain pass gives breathtaking views of the Cork and Kerry mountain ranges. 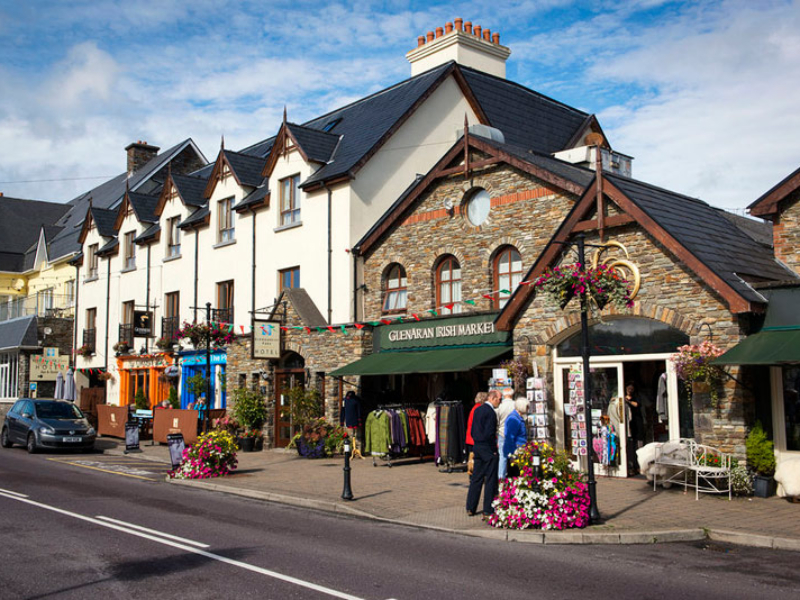 We will join the southern edge of the Peninsula at Adrigole and travel to Glengariff, Co. Cork. 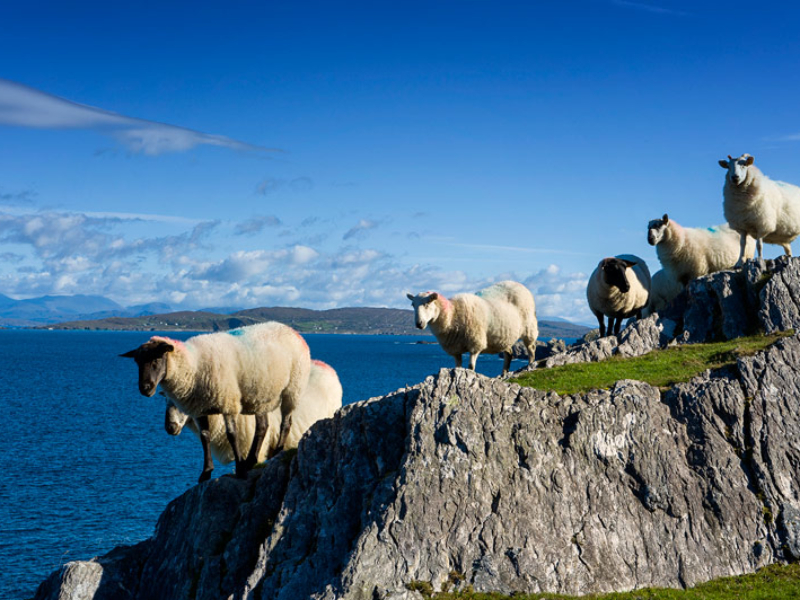 At Glengariff, you will have an opportunity to take lunch. There is also the option to take the short boat trip out to Garnish Island and visit the gardens there. A trip to Garnish Island is recommended. The manicured gardens are a joy to visit and the boat trip is short but provides magnificent scenery of the Glengariff area. 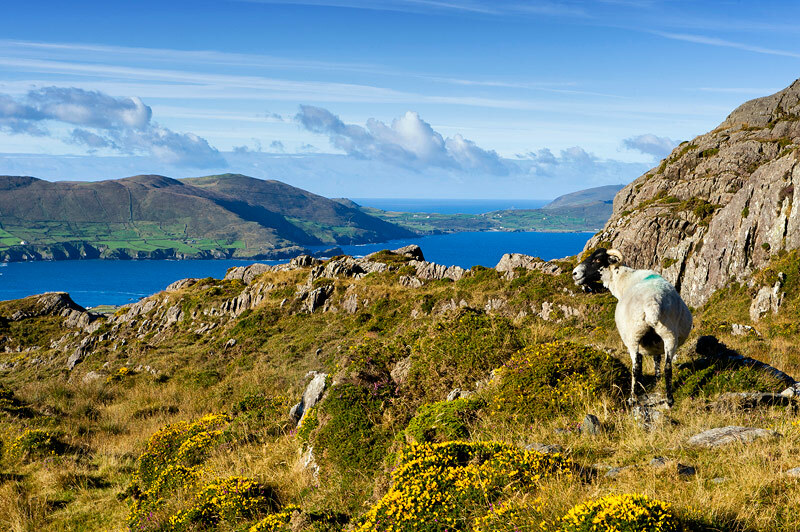 From Glangariff we will then travel through the Caha Pass back to Kenmare and onto Molls Gap where we will join the inland portion of the Ring of Kerry route. We stop at Ladies View for magnificent views of the Killarney Valley, it’s lakes and mountains. This tour gives constant views of mountains, sea and lakes. It is a dream route for photographers. It is a stunning experience to travel this route. In the event of a group being of a size requiring a small bus or larger vehicle, an alternative route to the Healy Pass will be required. The pass is suitable for car and passengers vans.